Does anyone recognize these? 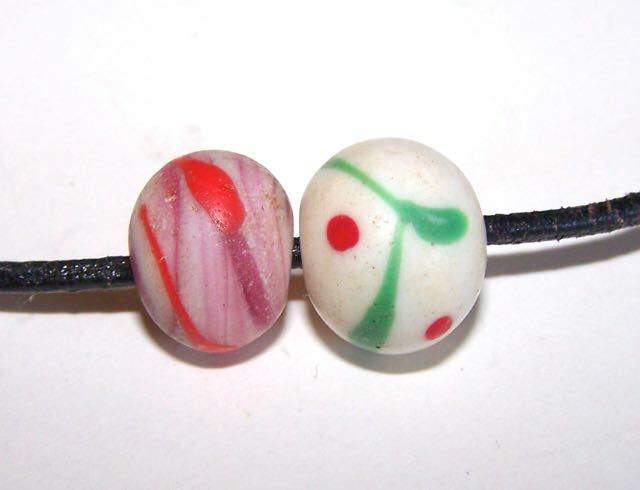 Found with Venetian and Czech trade beads. I also have several with a blue theme that show the same red dots & trails. 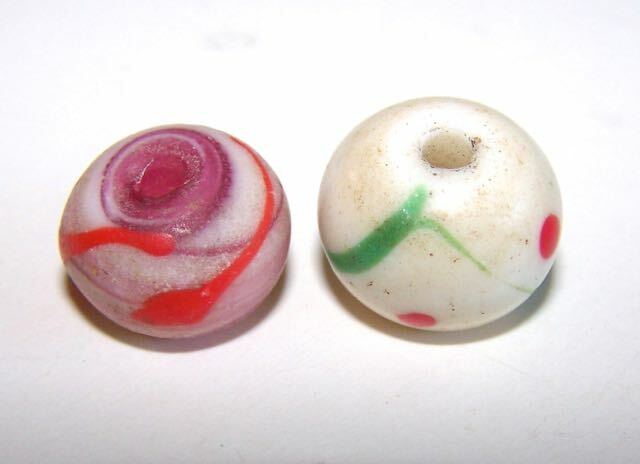 The white bead is 15 mm dimeter with a generous 3 mm hole.